RSMail! 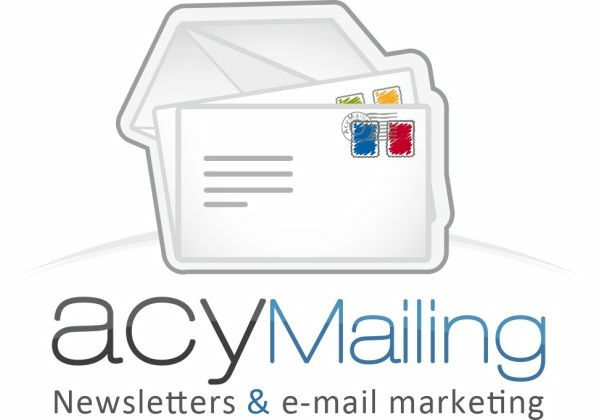 is the ideal extension for sending customized e-mail campaigns and newsletters. You can organize subscribers into lists, with a unlimited number of columns that can be used during the sending process. Subscribers can be imported from CSV files or from your Joomla! user database table, via a easy-to-use interface. Email templates, spam tests, bounce handling, scheduled sending campaigns, fallow-ups, statistics and link tracking are just some of the built in features of RSMail!. 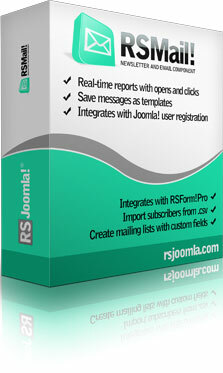 The email content can be automatically imported from third party extensions, such as: Joomla! articles, K2, RSBlog!, RSEvents!Pro, SobiPro, Virtuemart, RSFiles! A must have for practically every Joomla site out there, this extension will turn the 'Vanilla' Joomla emails into a work of art.